This Organic Farmer's Market Happens Every Weekend & It Goes On Till 6pm! Organic Me is a market that happens every Saturday and Sunday from 12pm to 6pm (unlike most markets), where one can find the healthiest and freshest of produce. Apart from organic veggies and fruits, they also stock nut butters, natural soaps, plantable stationery and more. Like most weekly farmer's markets, Organic Me also brings together a bunch of natural, feel-good brands, but what makes it even better is the fact that it happens on both Saturday and Sunday. Moreover, this market goes on till 6pm, so you don't have to worry about waking up early for the same, and will have ample amount of time to shop, eat and to make it a happy, healthy weekend. 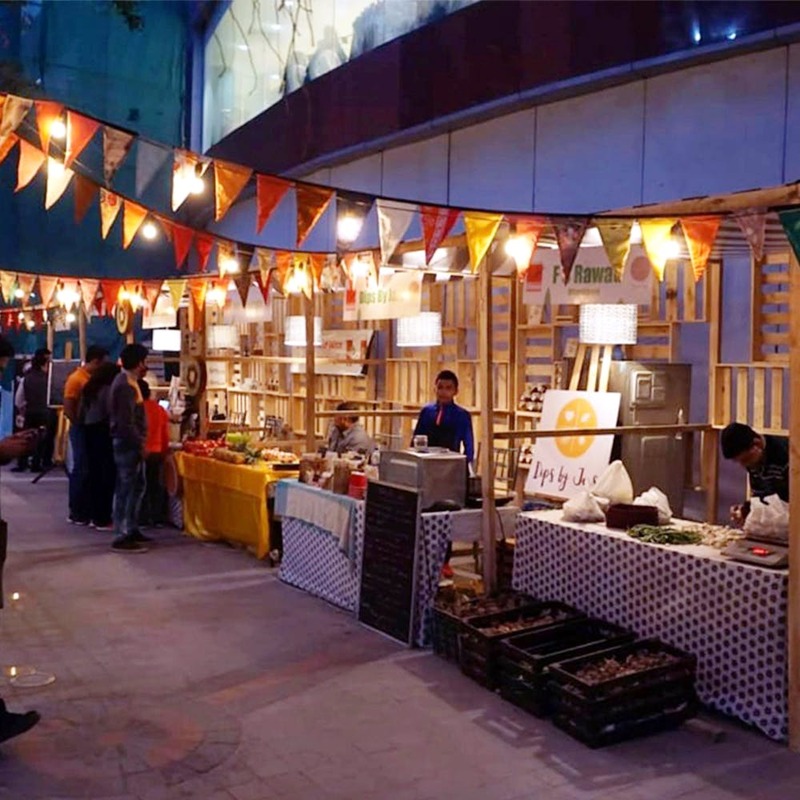 Started just a few months ago in Nov 2018, this weekend market at Ambience Mall (near Hawker Street, Gate no 5) already sees hoards of vendors and attendees. The curation of brands keeps varying every weekend but Aranyam (turmeric based products), Dhyan Foundation (organic home essentials), Meraki Essentials (pure essential oils), Gau Kriti (cow dung paper products), Hello Juice (cold press juicers) and Nutriorg are just some of the vendors you can expect to find here. They've also got vegan and natural skincare brands like The Philotree, R Zizhi and Yoshara Naturals on board. Another thing that we love about Organic Me is that they usually host a bunch of fitness classes, workshops and health-related talks. For the coming edition, we're told that attendees can sign up for micro-greens workshop with Swati Jain from The First Leaf. This workshop will teach you all about growing your own micro-greens, the right way of consuming them, specials recipes and more. If you don't care much about micro-greens, don't worry. You can probably spend your time eating healthy desserts (by Health Kitchen by BB), organic pizza and shopping some more. For us Delhi folks, the travel to Gurgaon will always be a bummer. We hope they start a Delhi edition of this market soon. Do follow Organic Me and Ambience Mall's Facebook Page for updates on weekend workshops, the list of brands who're coming for a particular edition and registration info. For more info, contact Organic Me at 9910010232.